This one has very vibrant colors and is a perfect match for your Tropical themed party or event. 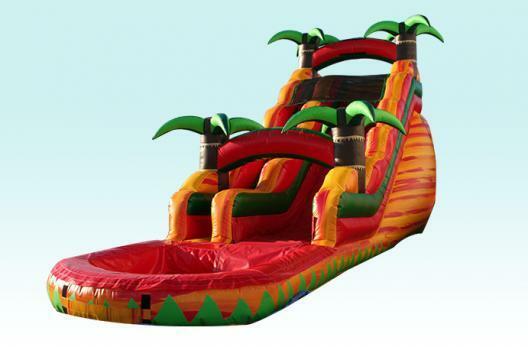 We deliver Bounce houses to Lakeland as well as waterslide inflatables, we also service all other Polk County Fl. areas with the BEST customer service, Extremely clean party supplies and ALWAYS ON TIME deliveries.